47 x 31 cm - 18 1/2 x 12 3/16 in. Henri Rouart, Paris – Vente galerie Manzi-Joyan, Paris, 16-18 décembre 1912, n° 77 – Henri Lerolle, Paris – Hélène Marin, 1924 – Henri Marin, Paris, 1937 – Edith Dunn Beatty, Londres, 1946 – Alfred Chester Beatty, Londres, Dublin – Paul Rosenberg & Co., New York, mars 1955 (Stock n° 5597) – Norton Simon, janvier 1957 – Norton Simon Foundation, Pasadena, 1976. Paris, galerie Georges Petit, 1924, n° 147 – Paris, musée de l'Orangerie, 1931, n° 142 – Paris, musée de l'Orangerie, 1937, n° 124, pl. XXIII – Los Angeles, County Museum of Art, 1958, n° 30 (repr.) 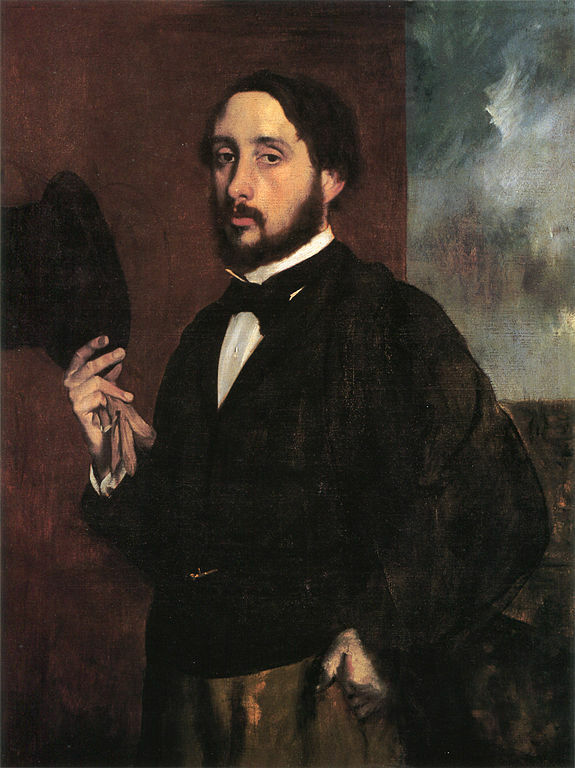 – Los Angeles, County Museum of Art, 1965, n° 17 - Degas in the Norton Simon Museum, 2009, II, n° 17, repr. p. 158. Alexandre, 1920, pl. II – Hertz, 1920, pl. 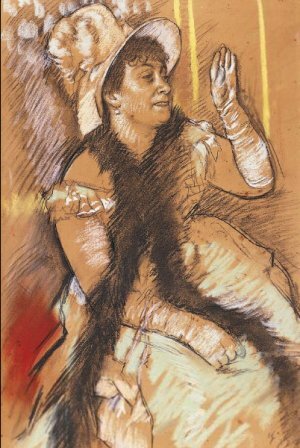 II - Fosca, 1927, pl. 22 [n.p.] – The Art Institute of Chicago, 1933, n° 290 – Boston, 1939, p. 31 – Lemoisne, 1946-1949, II, n° 536, repr. p. 303 – Guérin, 1947, p. 60-61 – Boggs, 1962, p. 52-53, 57, 116, pl. 104 – Lassaigne, Minervino, 1974, n° 564, repr. p. 113 – Pickvance, cat. exp. National Gallery of Scotland, Edimbourg, 1979, p. 60, n° 66 – Hermann, 1980, p. 114 (repr.) – Terrasse, 1981, n° 305 – Degas in the Art Institute of Chicago, 1984, fig. 47.1, repr. p. 106 – Sutton, 1986, p. 130 – Kennedy, 1987, p. 51, App. 4 – Gordon, Forge, 1988, p. 110 (repr.) – Muchnic, 1998, p. 41, 101.